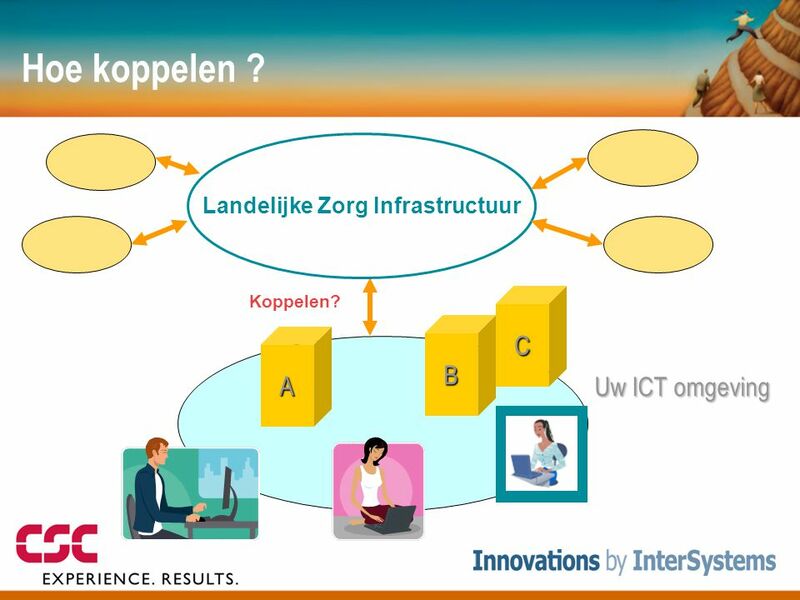 9 Uitdagingen Applicaties integreren? 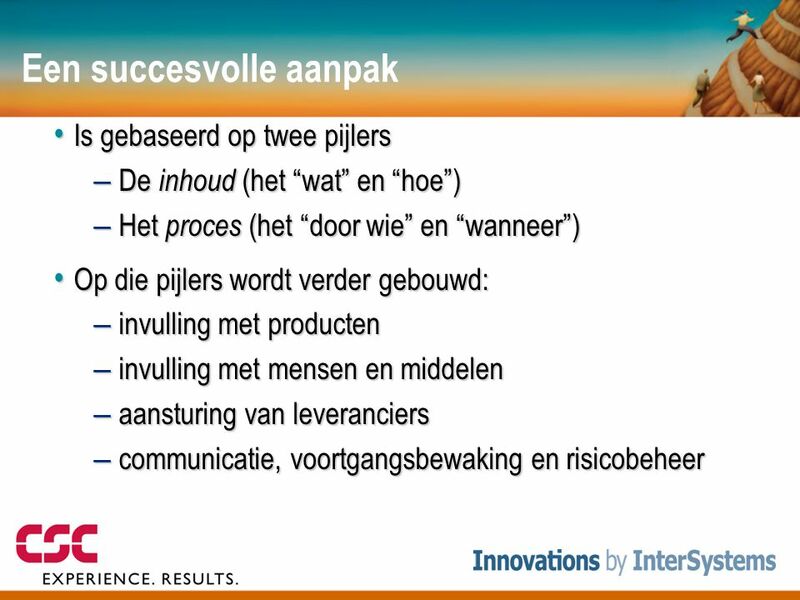 Nu koppelen of wachten? 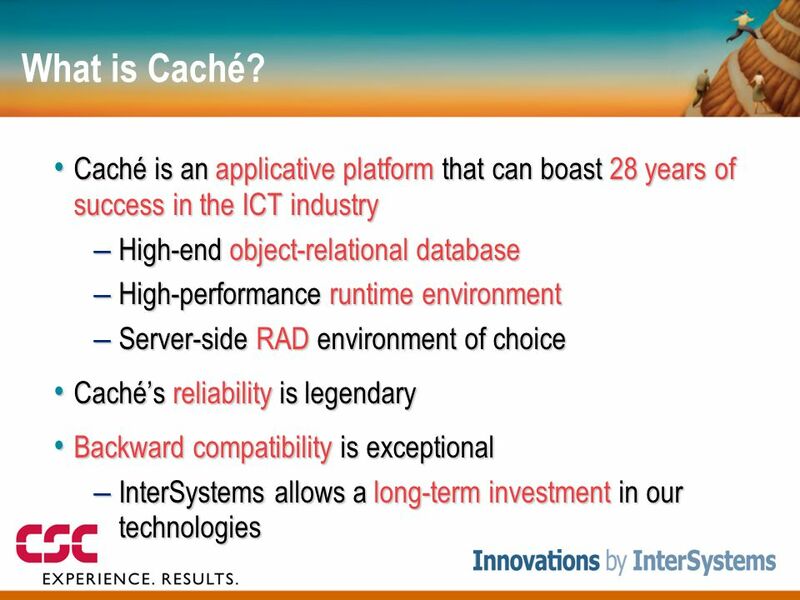 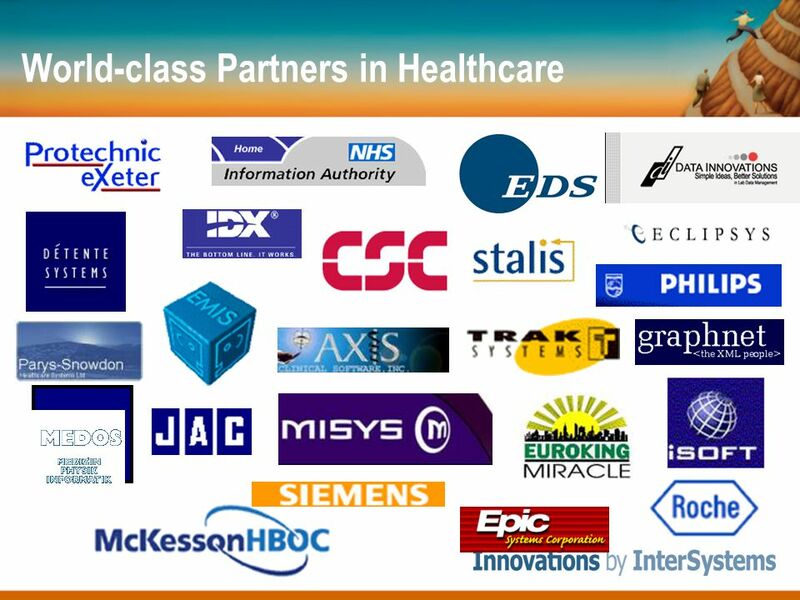 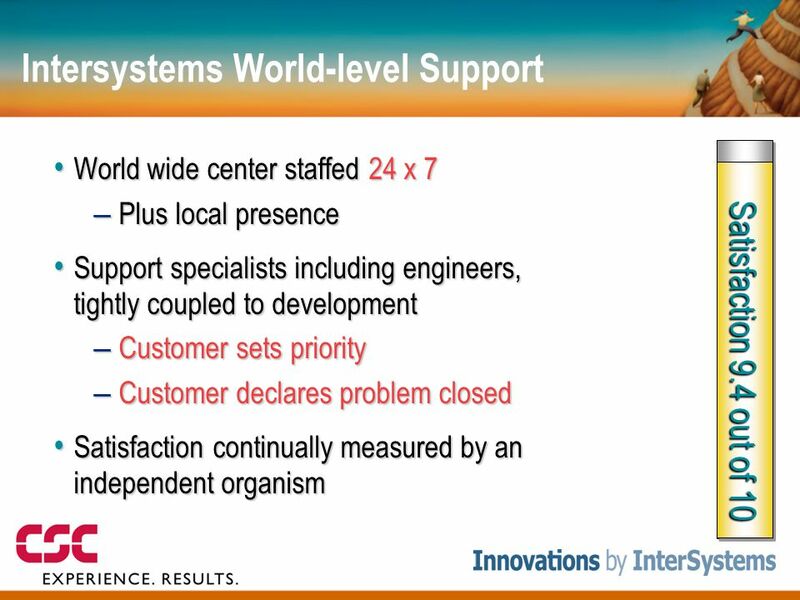 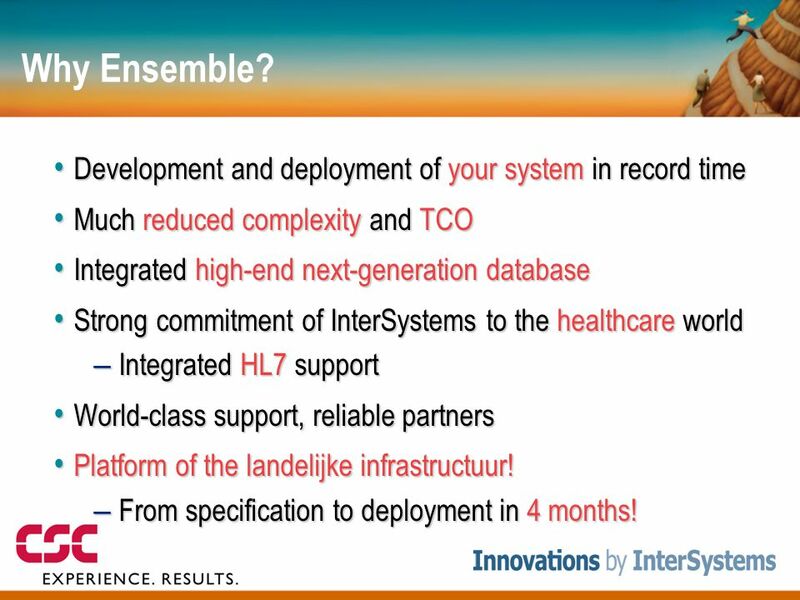 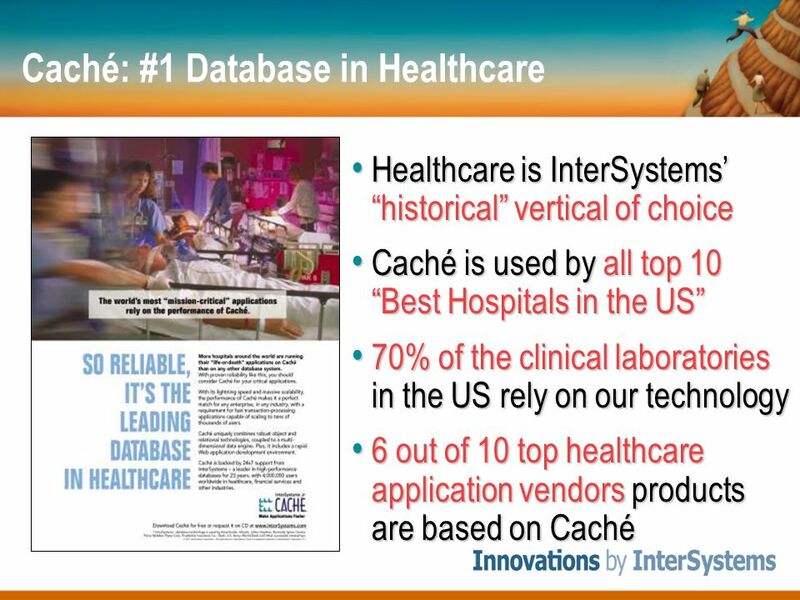 Much reduced complexity and TCO Integrated high-end next-generation database Strong commitment of InterSystems to the healthcare world Integrated HL7 support World-class support, reliable partners Platform of the landelijke infrastructuur! 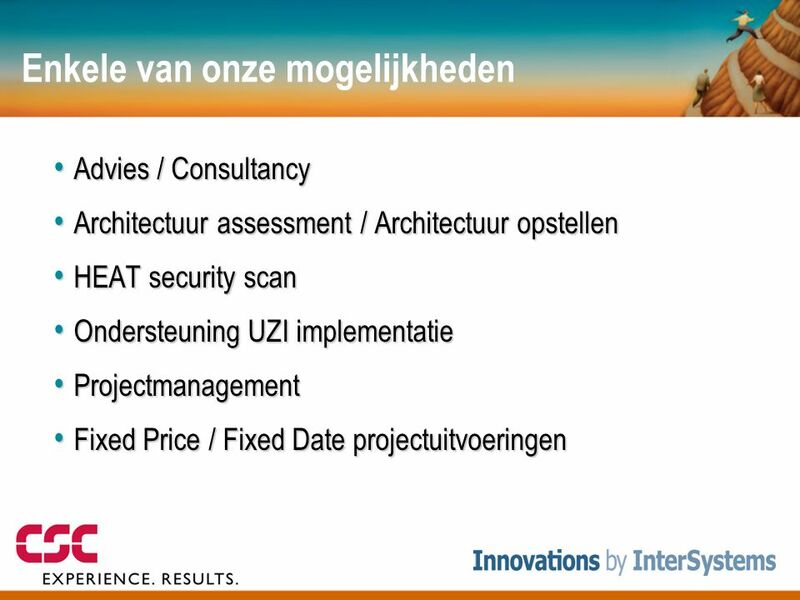 From specification to deployment in 4 months! 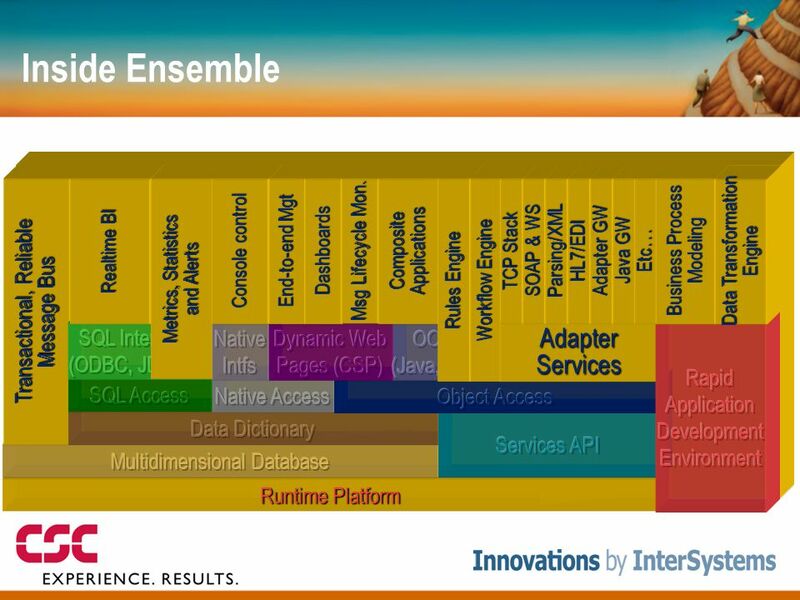 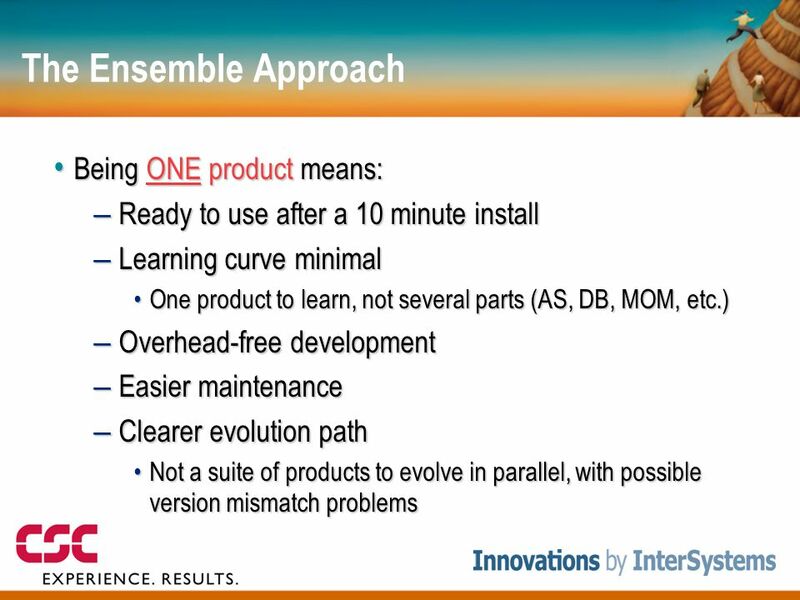 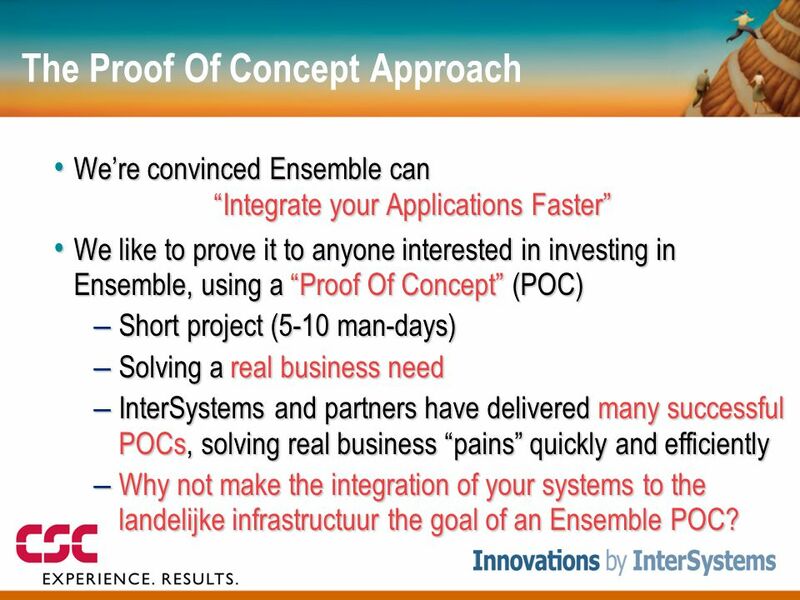 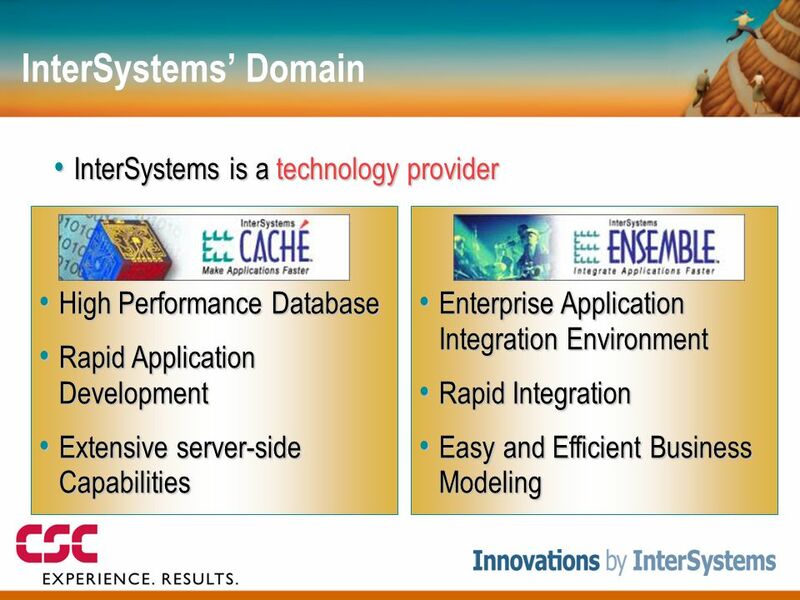 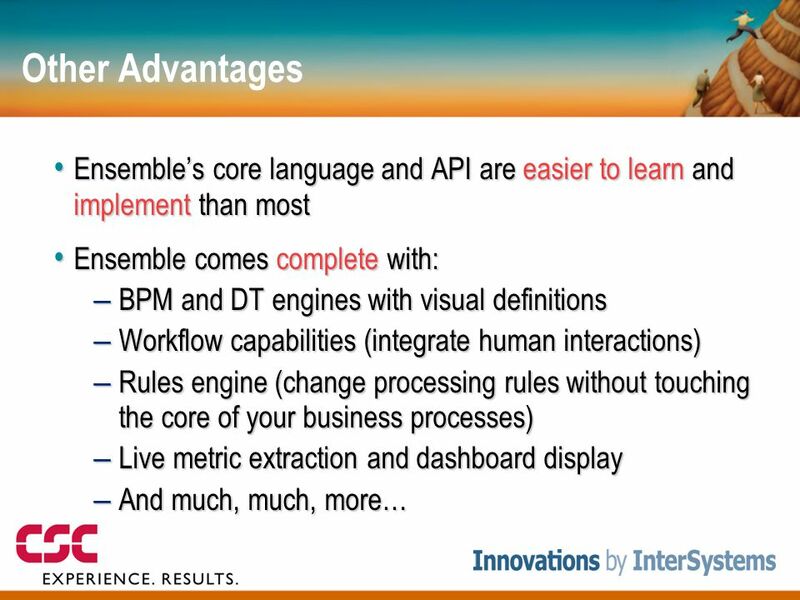 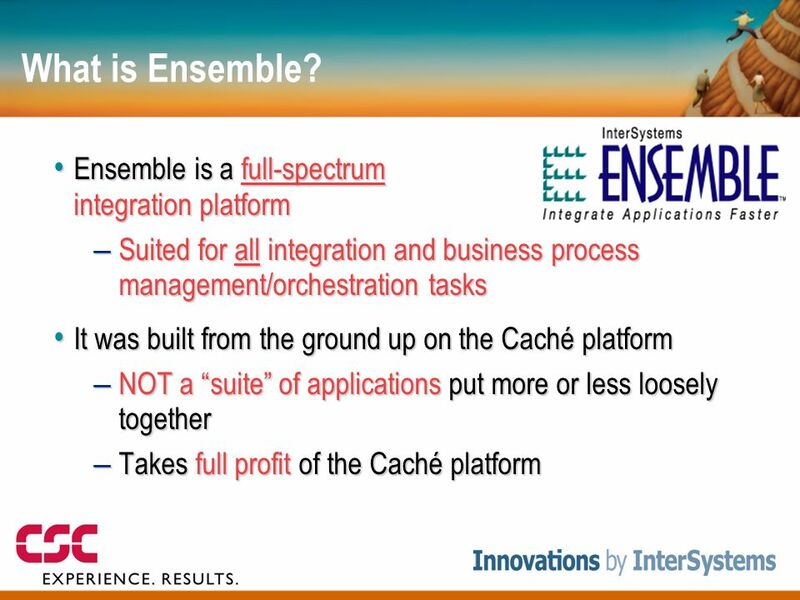 We’re convinced Ensemble can “Integrate your Applications Faster” We like to prove it to anyone interested in investing in Ensemble, using a “Proof Of Concept” (POC) Short project (5-10 man-days) Solving a real business need InterSystems and partners have delivered many successful POCs, solving real business “pains” quickly and efficiently Why not make the integration of your systems to the landelijke infrastructuur the goal of an Ensemble POC? 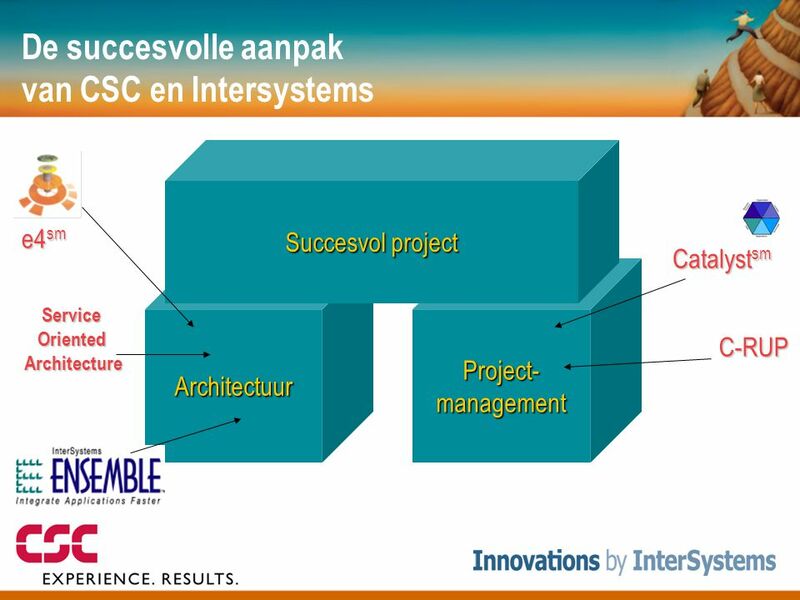 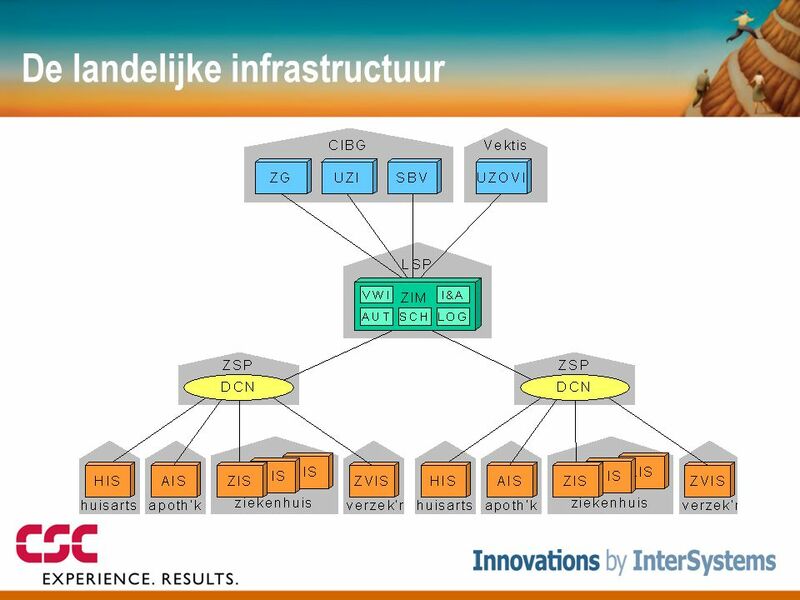 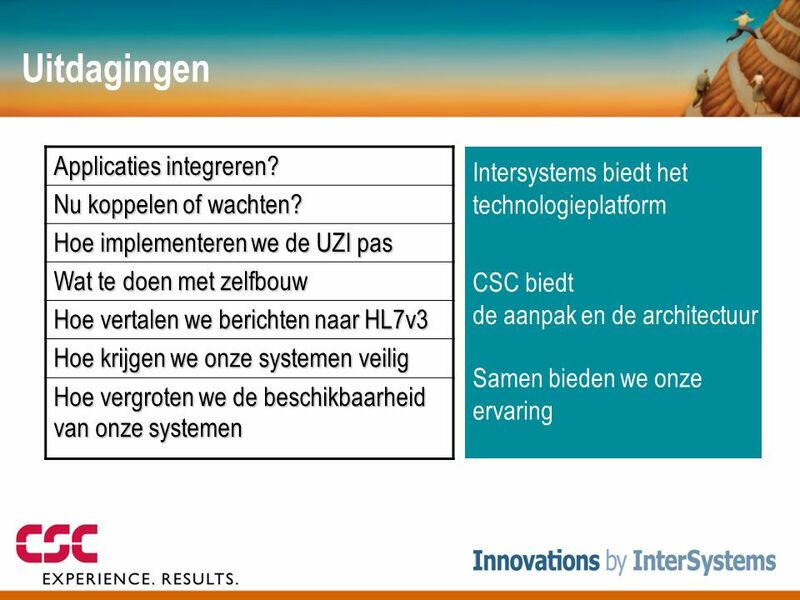 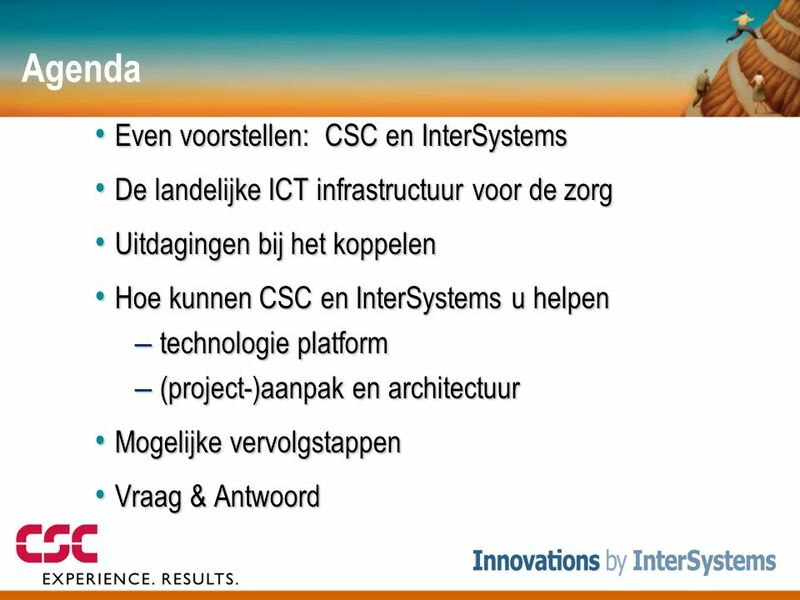 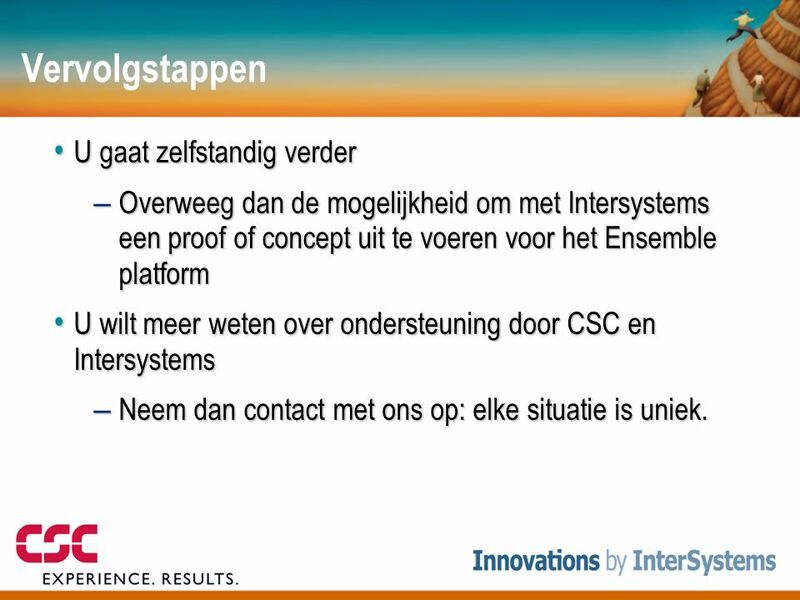 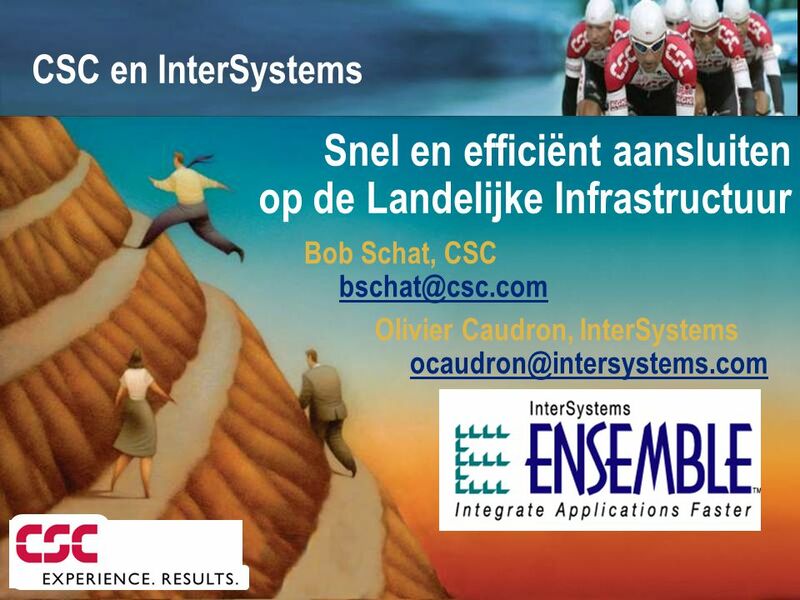 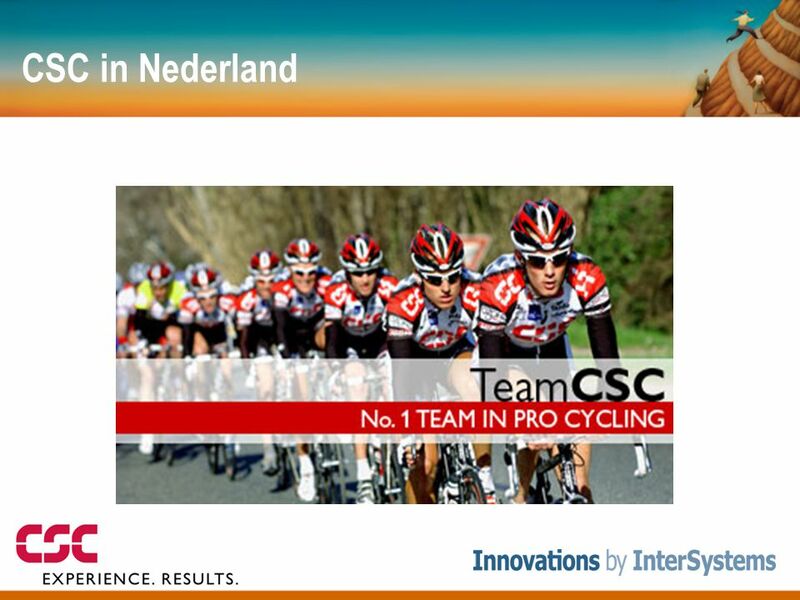 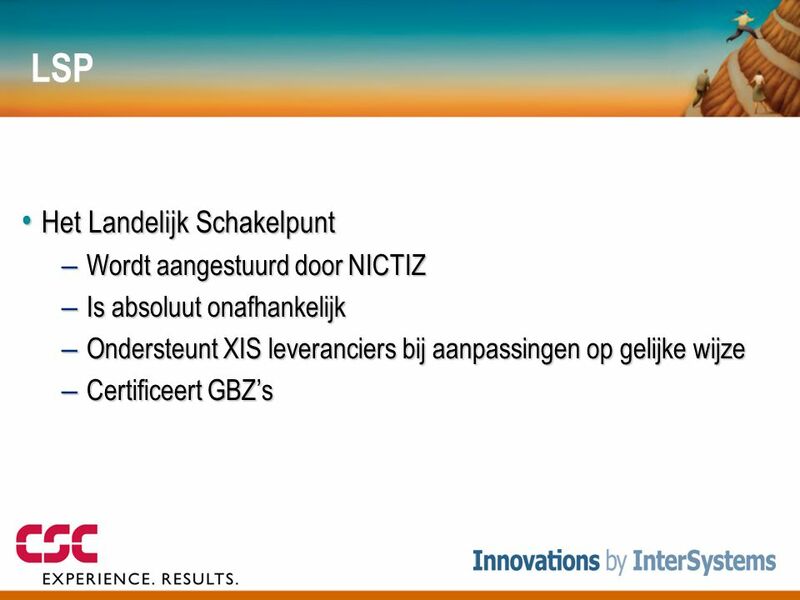 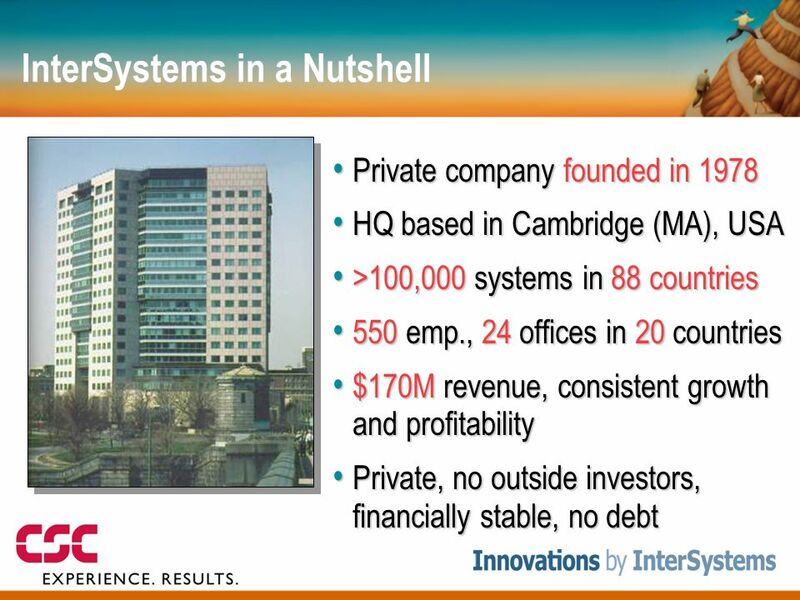 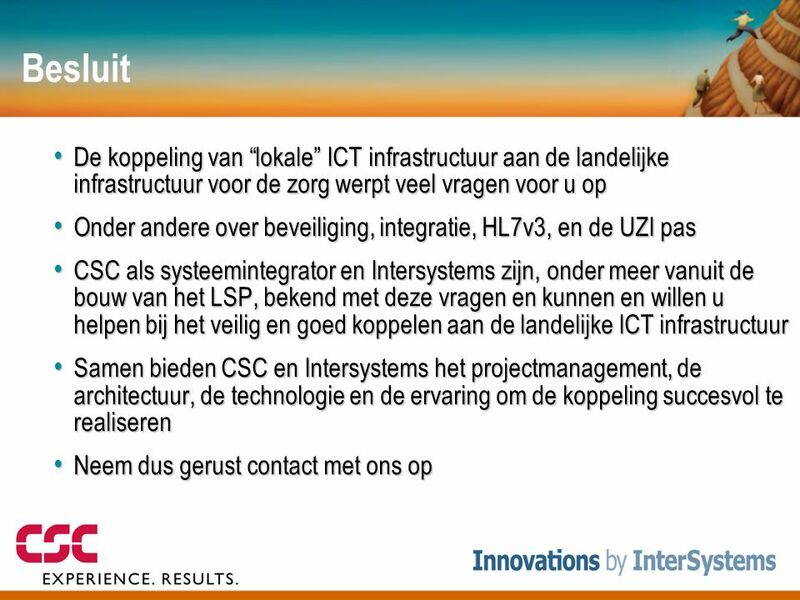 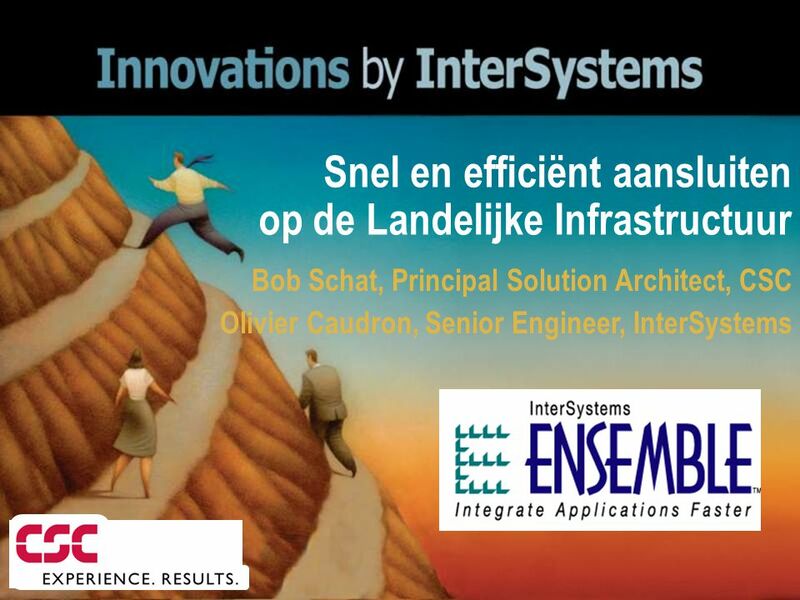 Overweeg dan de mogelijkheid om met Intersystems een proof of concept uit te voeren voor het Ensemble platform U wilt meer weten over ondersteuning door CSC en Intersystems Neem dan contact met ons op: elke situatie is uniek. 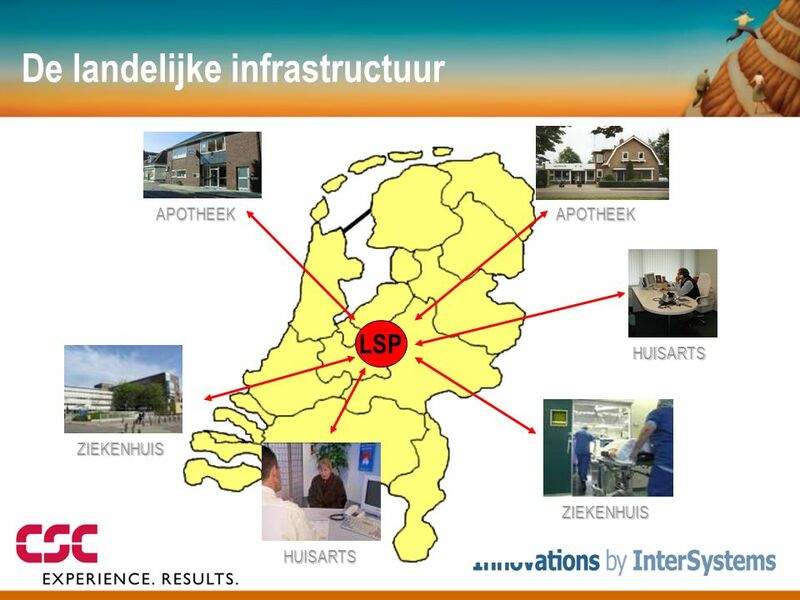 Download ppt "Snel en efficiënt aansluiten op de Landelijke Infrastructuur"